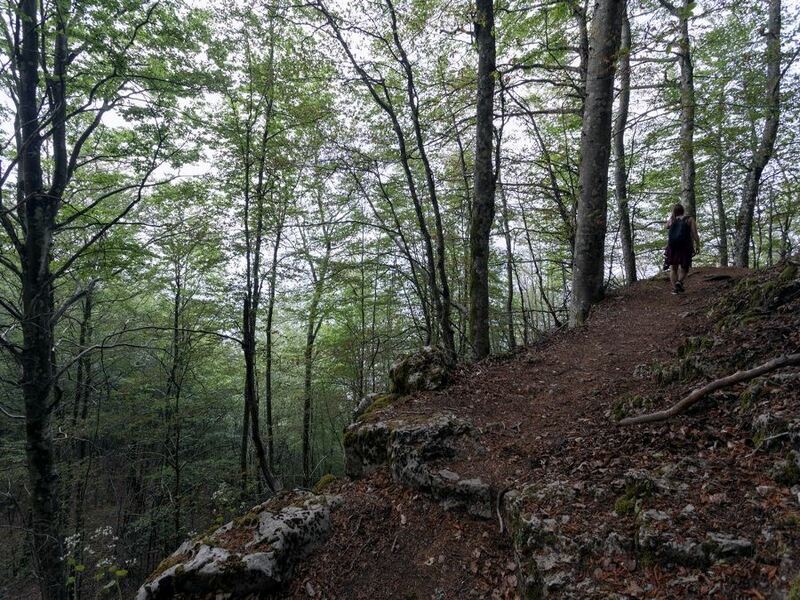 If you like long walks in the forest mixed with stunning mountain views and seascapes then congratulations! 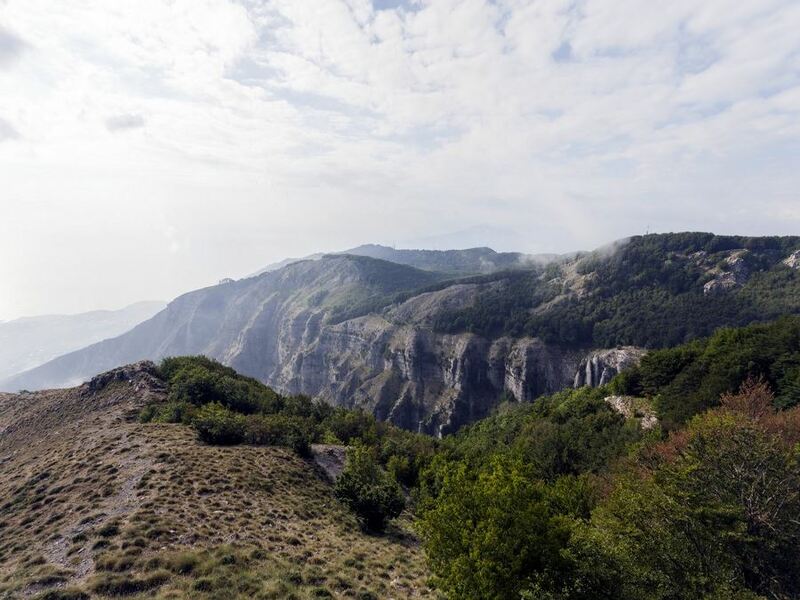 We’ve found the perfect hike for you. 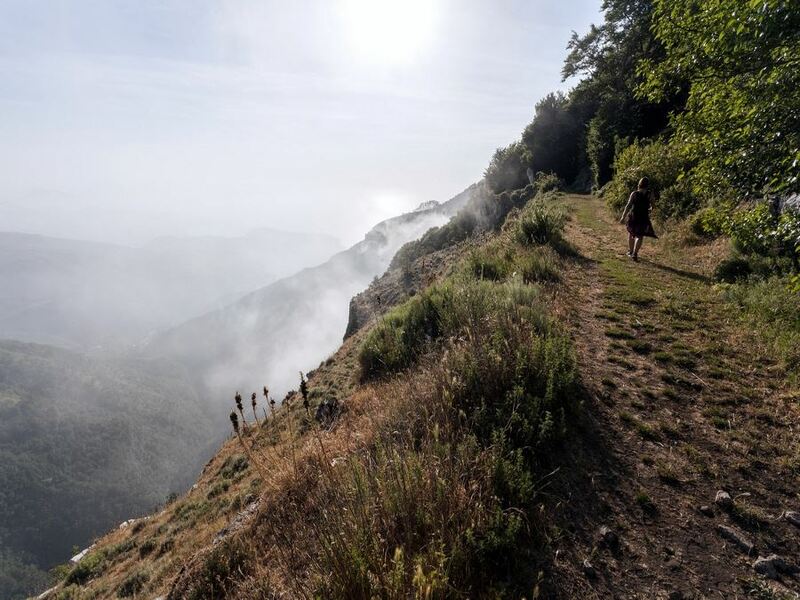 Follow the signs to Monte Faito, making your way to the big city square, Piazzale die Capi. Once you’re at the panoramic square, continue driving on the middle road, Via Str.Alta, which goes straight into the forest. After 3.0km, you will have to park. From where you parked, take the paved road in front of you. 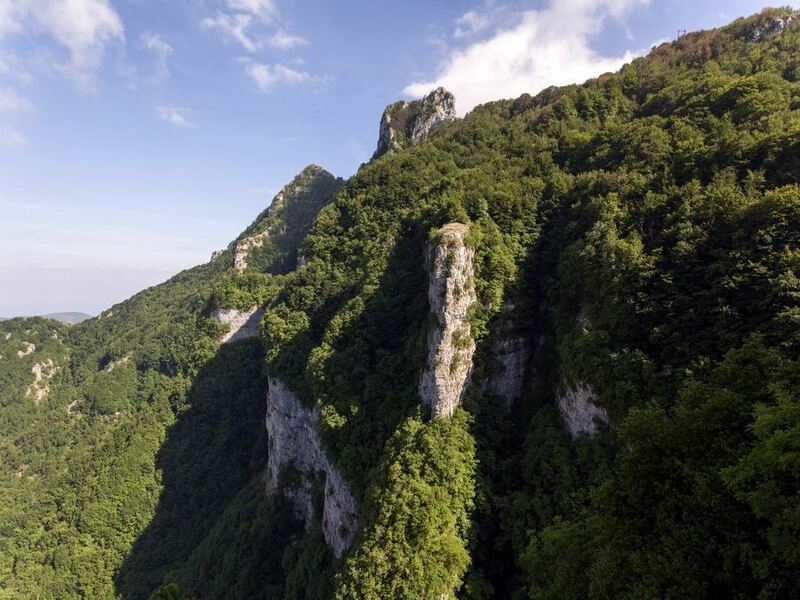 You will see the red and white signs of The Italian Alpine Club (CAI). Walk along the paved road. Eventually you will start along the path into the woods. You will notice all the tall beech wood trees around you; they are the main species of trees in this area. Suddenly you will arrive at another paved road. In front of you there will be radio antennas and the old San Michele monastery. 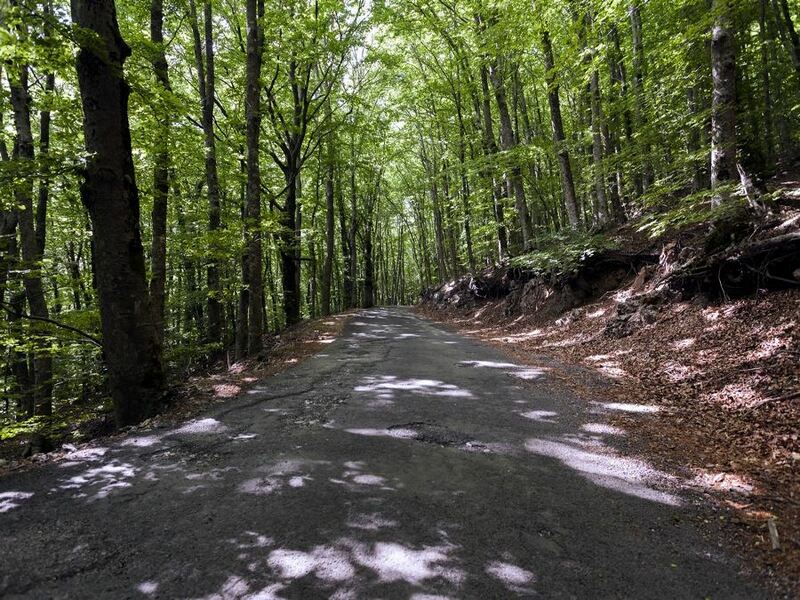 Follow the paved road going to your right until you arrive at a clearing. Go through the clearing and follow the red signs, entering in the forest. From here on, follow the path as it naturally goes. At some point you will find a natural water source. Locals say you can drink from it, the limestone rocks filter the water. We think it’s best to bring your own filtered water since you never know what’s upstream, but to each their own. Continue the path as it grows in altitude. 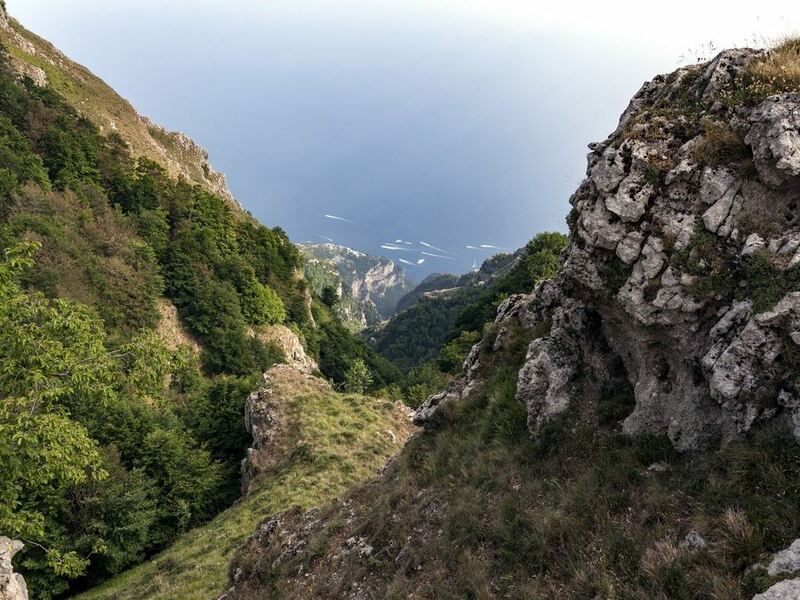 Not very long after that, you’ll arrive at a sign: on your left is the path to Monte Molare, and to your right is the route to Croce della Conocchia. 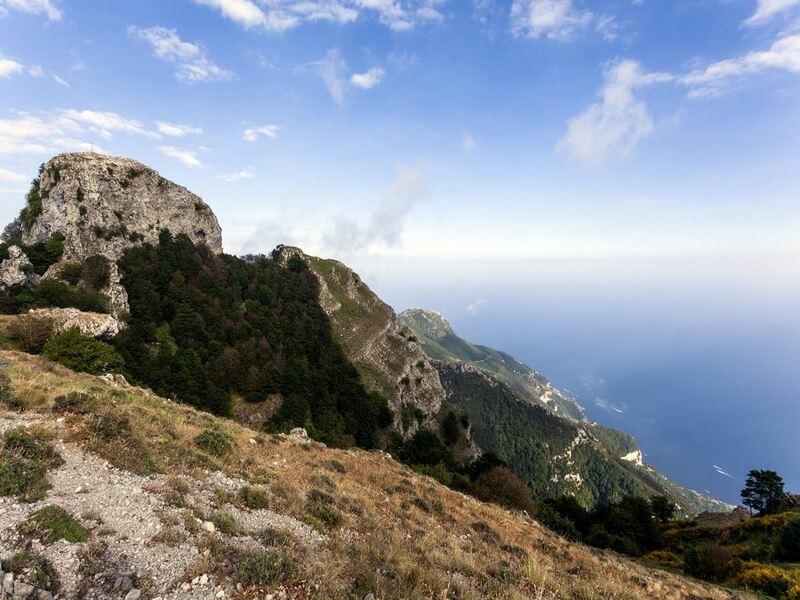 We recommend climbing up the Monte Molare first. It is a quite short walk, but make sure you go back to the signboard when you’re done. For those who don’t want to go up the mountain, go right and follow the path. You will soon find yourself walking on the mountains crest. 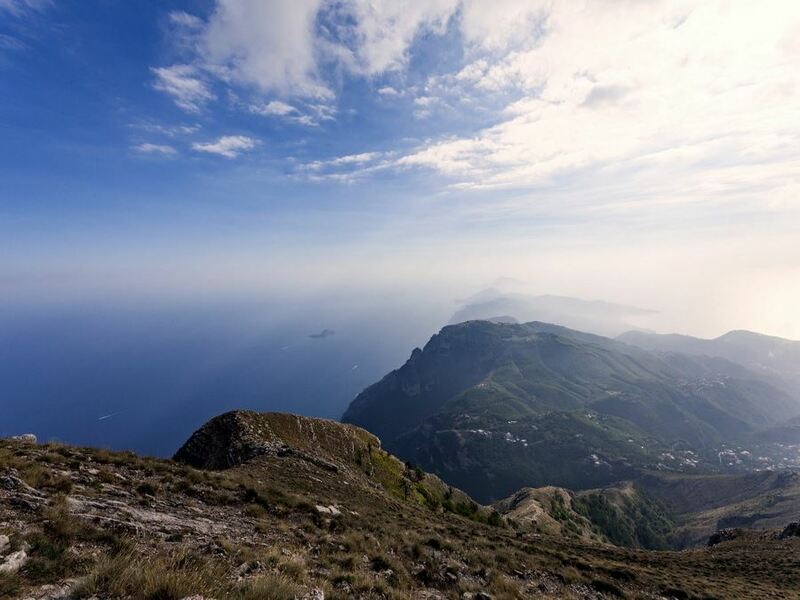 As you look around you, you will see the Amalfi coast, Monte Molare and Monte Catello, and, if the day is clear, you may also see Capri. Follow the path until you are totally out of the woods. You’ll find a bare and rocky path that goes straight down. After not more than 300m, there is a sign where you will make a right. 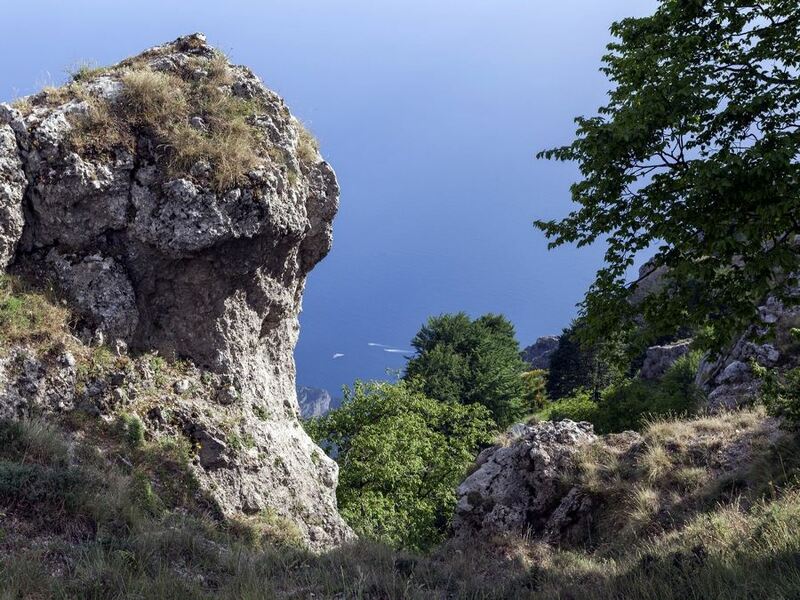 Here you’ll walk through a forest with thin branches, through them you’ll be able to see the beautiful rock formations on the side of Monte Faito. The path will lead you to the starting point where you left the car. Being one of the most popular paths in the region for picnics and local hikers, you’ll want to during the week if you want to avoid all the noise.